For the uninitiated... In this brief video, I discuss what MetaStock is, and how it can help traders make better decisions. It also touched on XENITH, the real-time data and news platform which powers MetaStock Pro. The uptrend and downtrend are not mirror images of each other, nor can you use the exact same indicators, indicator period settings, or subordinate indicators. Many retail traders assume that if they learn the upside price action that when the trend turns down it is just the opposite price action. That is why so many traders struggle to exit stocks before the trend tops and runs down. In addition it is why many retail traders who try to sell short as well as options traders who buy puts, take so many losses in their trading. If you are a position trader, you will be trading the uptrend and sideways trend. If you are a swing or day trader you must trade the uptrend and downtrend, and adapt for the sideways trend. Swing and day traders must be able to take advantage of both the upside and downside price action to net profits, that are close to what a position trader can achieve. However, the position trader will generally always have far higher returns. The sell side or downtrend is very different from the uptrend or sideways trend because there are fewer market participants. Giant pension funds and giant mutual funds do not sell short. They may buy option puts or ultra-bear ETFs, as a hedging or mitigating strategy when the market goes down as they are longer term investors. Smaller lot investors, most institutions, corporations, billionaires and other wealthy individuals and foreign funds do not sell short. High Frequency Trading Firms, Professional traders, and some retail traders sell short or use options to make profits during a downtrend. That is why the downside trend is so very different than the upside or sideways trend. The downtrend often has much steeper angles of descent immediately causing a severe drop in price, and often gaps as HFTs trigger on news events. The Downside also has larger rebounds as it bounces off of support. How fast the price will fall is dependent on many factors but the most important factor is always the number of HFTs that trigger the sell-off. The downtrend can drop with low volume, and can at times gap down through technical support levels. This is due to how and where the retail crowd and the smaller funds set their stop losses. A common mistake that many investors and traders make is to use a percentage stop loss. Since everyone in these groups all use the same percentage stop losses, there are many strategies used by HFTs and other professionals that cause these percentage stops to trigger. When this happens many retail traders get very angry, because the stock usually hits the stop loss then rebounds back up. Many retail traders assume this is the “market maker” searching for their orders and taking out their stops. Instead it is the “Cluster Order Syndrome” which triggers HFTs and other algorithms, searching for orders that are clustered around a percentage. As a stock drops, stop losses are triggered and the stock plummets. The above chart shows a how a 10% stop loss triggered a huge down day. It was driven by very high volume, which is the foot print of HFTs and sell short automated orders. These trigger on algorithms designed to locate cluster orders. When retail investors, retail traders, small funds, and other groups all use the same percentage such as an 8% or the more popular 10%, it creates a huge cluster order at that price range. Algorithms can search for these cluster orders that then cause huge sell downs, because of the combination of selling short AND stop losses firing off at the same time. The stock plummets within seconds often when the stop losses trigger all at once. Does Target stock go up during holiday months? Do Wheat prices go up during the summer? Does the price of Oil rise during the winter? In my travels, I've met lots of traders who are interested in trading based on seasonality. MetaStock's system tester can be easily modified to test a security to find if there are profitable seasonable patterns. In this post, I'll show you how to create a seasonality test easily in Metastock. On the General tab you will put in a name for the System Test. In this example I named it Seasonality - Longs. This will allow us to setup our variables for use in our System Test--We are almost done. Now we want to setup our Buy order. What we are telling MetaStock to do is to test Buying on January 1st and Selling on January 2nd. Except with this simple code, we are telling it to test every possible combination and tell us what would be the most profitable. With the MetaStock data you can literally test this back decades to see if there is a seasonal correlation with the instruments you are interested in. Do you trade in your spare time: I don't trade much. I don't have too much time. Favorite part of your job: Working with our customers, employees and partners. MetaStock has been at this for decades and we have some great relationships that have occurred. 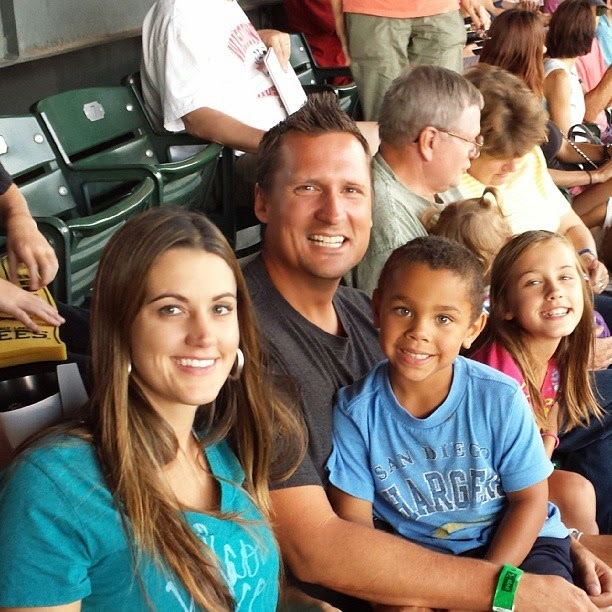 Scott is pictured here with his family at a local ball game. In the past few years technical analysis has undergone some significant changes. Many traditional technical patterns are either not forming as often, not as reliable, or are simply not found on the charts. Bottoming and Topping Formations have undergone the most substantial changes. Some Bottoms and Tops are rarely seen, while some do not reverse the trend or only reverse it for a brief period of time, and others that were once common do not form at all. These changes have been subtle and have been going on slowing for several years so these changes are often missed by retail traders. Not recognizing these critical trend reversal technical patterns and how they are changing can affect trading profits. Why the traditional bottoms and tops are no longer forming as they once did, is just as important as recognizing which of the bottoming or topping formations have been altered or lost. The Bottoming and Topping formations are critical areas of a trend, and recognizing these patterns early on is key to successful investing and trading. If a top has started but a trader is unaware or doesn’t recognize that topping pattern, an entry at that point could cause a huge loss. Conversely, not recognizing bottoms as they are developing often leads to missed opportunities as stocks tend to run faster and longer out of bottoms in the current market structure. Bottoming and Topping patterns are most sensitive to changes in the Market Participant Groups and the Market Participant Cycle. This is because these are major pivotal points where a Shift of Sentiment™ occurs for the most important of all the 9 market participants, which is the Institutional Investor. Since there are two primary types of Giant institutions, the Sell Side Institution and the Buy Side Institution, these huge lot investors can and do alter technical patterns. One of the patterns that rarely forms in today’s automated stock market is the Head and Shoulders Top. The market is dominated now by Dark Pools who use targeted price zones and specialized orders that insure their giant lots do not move price, and the High Frequency Traders who use special orders designed specifically for millisecond trading that is intended to move price rapidly with huge velocity runs. These cause the Head and Shoulders Topping formation to be disrupted before it can fully develop. Basing Bottoms, U Bottoms, Velocity Bottoms, and Quiet Accumulation Bottoms are just a few of the new bottom formations that technical traders need to learn to be able to recognize that a bottom has commenced, to enter early before the huge momentum runs that follow. The Chart below is an example for one of the new bottoming patterns, which when identified early offers strong profit as it completes. The Chart below shows the completed bottom and subsequent momentum run. Using outdated technical analysis in the electronic marketplace keeps traders from earning the high profits that most professionals enjoy. Of all retail traders 90% of them lose money trading, while 90% of all professionals are making excellent income. The difference is that the professionals continually keep up on the changes that are occurring in technical analysis patterns. Options Trading has suddenly become far more popular with professionals and smaller funds learning to trade options. This means that options retail traders will find more trading volume and trading opportunities than have been around in nearly 10 years. It is the Renaissance of options trading and what the professionals are wanting right now more than anything is Stock Chart Analysis Training for Options. One of the many areas the professional option trader needs to learn is how to interpret the new technical patterns that have emerged over the past few years. These patterns are due to the massive Financial Market Structural changes that every market has undergone, including the Options Market. Training for the new technical patterns covers the new types of sideways action. Stocks move sideways more often nowadays than they did even a decade ago. The type of sideways pattern is critical to identify early on as it reveals who is in control of the sideways pattern, the direction the stock is likely to take out of that sideways pattern, AND most importantly the volatility AND velocity once the breakout occurs. Determining when the breakout is going to occur and the direction, optimizes many options trading strategies and increases profitability trading options as well as stocks. One important thing all traders both retail and professional need to learn, is how to find the right sideways patterns with strong energy building that will have big moves out of the sideways pattern. The Chart below shows a huge gap after a lengthy sideways pattern. The sideways pattern also contains an island gap. If you study the chart during the last 2 months, you can see that the sideways pattern became very consistent in its pattern, just moving within the range of the prior sideways pattern before the island gap. Often the price barely moved. See the very precise tight consolidation of the 7 days prior to the huge gap up. These price patterns reveal a steady controlled bracketed order that is totally controlling price for 7 days. This is one of several Dark Pool or Twilight Pool footprints. Being able to see this pattern along with confirmation of the large lot indicators tells this is an ideal set up for a velocity or momentum move to the upside. Quiet accumulation by large lot investors is obvious in the chart and the controlled price tells the technical analyst that these are very savvy investors, who are using professional orders that bracket and control price. Dark Pools use these orders. When you can trade with the giant lot investors from the Dark Pools and you can enter with them prior to High Frequency Traders gapping price, profits are easier and more consistent.